Everyone wanted to know when the story would air again? NBC was silent until Thursday. When I wrote about Tom Brokaw’s documentary and the 7,000 people stranded in Gander, Newfoundland on September 11, 2001 I didn’t expect it to be my most read, most commented blog post of all time! It surely was. All my commenters were touched by the outpouring of love and graciousness from these residents of an isolated community in a thinly populated province. Everyone wanted to know when the story would air again? NBC was silent until Thursday. MSNBC will telecast “Operation Yellow Ribbon” this Saturday, 12-1 p.m. ET and Sunday, 1-2 p.m. ET, hosted by NBC News’ Tom Brokaw. Originally broadcast during NBC’s coverage of the 2010 Vancouver Winter Games, “Operation Yellow Ribbon” is the story of the town of Gander, Newfoundland where, on September 11, 2001, 38 jumbo jets carrying nearly 7,000 passengers were diverted. I cannot recommend this beautifully shot and produced documentary more highly. If you can’t be around this weekend, make sure you record it–it’s that good. After you watch it, please come back and let me know what you think. I suspect you’ll be as deeply affected as Helaine and I were. I remember when this first happened and the story came out in 2001. I remember I cried then, and I cried when they showed it during the Winter Olympics. It does show there are good people out in this world who will lend a helping hand when it is needed no matter what. What a great thing that to this day they are all still friends! It shows you that what you give to others will always come back to you twofold. This is something that is really ‘taught’ to kids by their parents. My brothers and I learned it from my dad, and my son learned it from me. Viele danke. Heading off to MX for a week in the AM, but set DVR to record. Really SO want to see this. Thanks for the program update. DVR is set. As an “Olympic nut” (and supporter) I would compile hours of recordings daily on both NBC and MSNBC throughout the Winter Games to fast-forward them later as not to miss anything from what I consider the purest form of athletic competition. I believe this was broadcast on the final Saturday and it was that evening I trolled through the recordings (yes, I even thoroughly enjoy the curling competition)when I stumbled upon this report. I immediately called my wife and we were mesmerized for the next almost-hour by one of the most riveting and touching stories we have ever seen. I am in total agreement with Geoff that this is a “do not miss”, so if you can’t view it, record it – it is a story worth viewing repeatedly. It also reminds us we have unbelievably good friends to the North. 1 o’clock to watch it. The problem was hockey was on and it took me a half hour to find out that it was on cable MSNBC. Too bad, NBC should show this on network tv possibly in the 10 pm slot with enough notification for people to watch it. This was unsurpassed reporting. I didn’t get it taped and desperately want a copy to show my students. Where can it be gotten or purchased? This is a story that should be shared and never forgotten. As a Nedwfoundlander living in Maine, I was once again broken hearted that I only caught the end of that wonderful segment. There is a song “There are no price tags on the doors of Nfld” It is very fitting.If you visit there and you have car trouble , before you know it the Newfies are helping you and have you at their kitchen table for tea and cookies or “lassy buns”.They are without a doubt, “the salt of the earth”. 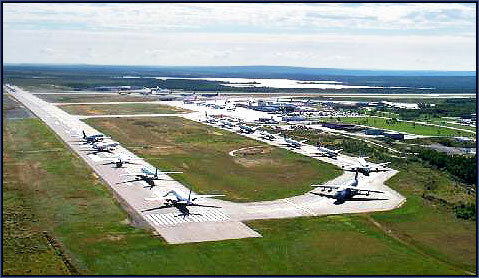 I was one of the fortunate ones to be diverted to Gander on 9/11. It was the most incredible experience of my life. I have since gone back to Gander every other year to visit my new “family” and continue to explore the way of life in Newfoundland. I never got to see this program but my dad seen some of it. Is there a way to get a copy of this program or to get it shown on NBC? As a Canadian, I have a big problem with NBC. It seems that the “News” and “Sports” divisions don’t play well together. My understanding is that because the 2010 Olympics broadcast (US) was bought by “Sports”, they would not broadcast Tom Brokaws docufact about Gander Newfoundland/Labrador, because Brokaw is “News” and not “Sports”… c’mon boys & girls… try to get along. When I saw this after the Olympic,s, it made me realize that I had not even given a thought to where those plane’s had been sent. I did not see the Brokaw piece; but happened upon your blog today (08-13-1010) when I browsing the WWW. I’m a Nova Scotian (born & raised) that currently resides in the USA. My profession gave me some up close & personal experience with Halifax, NS & Gander, NL airports (both greatly involved with international flights on 911). This book really hit home with me; especially in regard to what is typical eastern Canadian, maritime attitude/behaviour. For an even more “interesting” read, play some Newfie fishin’ tunes while your reading it. This was one item that was pretty much swept aside until some time later, but when the story came to light about Canada’s friendship during the 9-11 situation, it was huge here where I live. We have watched this story over and over and never stop being so proud of our neighbors to the north. I thank every Canadian I meet to this day.